If blowing your friends up in some friendly couch multiplayer is your idea of a good night, then do Ruffian Games have a treat for you! 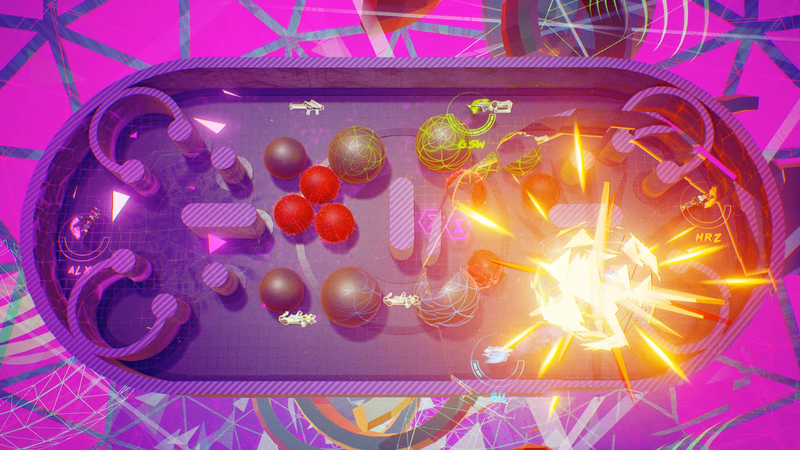 Fragmental is the latest addition to my local multiplayer library and it’s an instant classic. 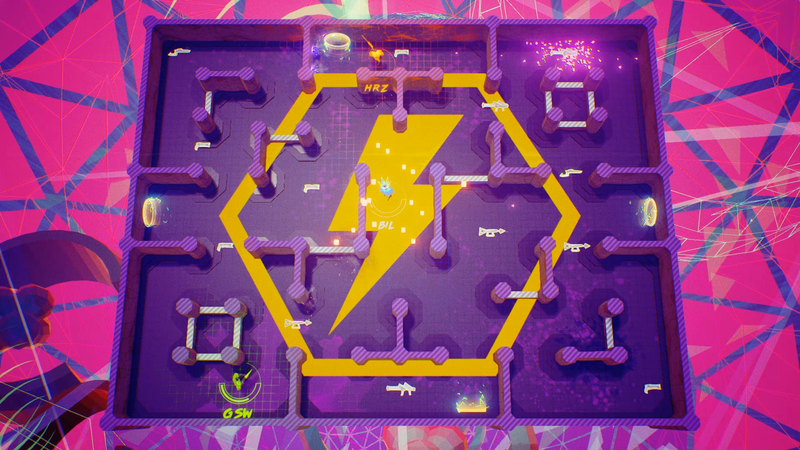 In Fragmental, you can have up to four players controlling a character with two goals; Kill your friends, and don’t let your friends kill you. You all spawn into the battle arena at the same time (the maps are really varied, but more on that in a bit) and it becomes a mad scramble to grab the best gun you can. Fragmental excels by the variety of its weapons. From bog-standard pistols and shotguns, to remote control rocket launchers and land-mine deploying cannons, the weapon variety in Fragmental is great and experimenting with how each gun works is a huge part of the fun. There’s a serious balance issue between some of the guns but that’s totally the point, isn’t it? When one player grabs a pistol and the other grabs a shotgun, there’s bound to be a trickle of sweat running down the wanna-be cowboys brow. Despite that, you never feel that any of the weapons are completely overpowered. Every weapon can be outplayed, and so player skill is much more important than grabbing the best gun you can. Not that it doesn’t help, of course. The maps are just as varied as the weapons, with some presented as basic arenas for you and your buddies to do jolly combat within, while some have a variety of environmental threats. 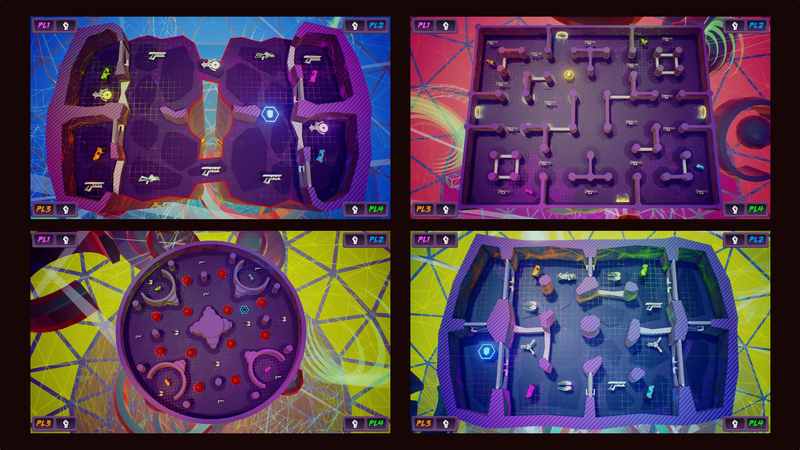 These can include teleporters, death pits and even rotating lasers that will insta-kill anyone that touches them. The visual style and top-down camera make it easy to identify every player, but when missiles, bullets and wall-tunneling bombs are flying around, it can get really easy to get caught up in the action and it leads to some hectic moments. Which, to me, is what couch multiplayer is all about. Fragmental is still in Early Access, which puts some people off, and it’s got a fairly high price tag of £10.99 on Steam. Despite all of that, I’d recommend it to anybody who’s planning on having a few friends over and wants a quick and easy game to spend a while blowing each other up on.